Makwa is a travel company based in Montreal since 1993 that organizes road trips for French students from France (accompanied by French Directors) throughout the USA and Canada (California, Nevada, Utah, Washington state, Wyoming, New York, Massachusetts, Washington, DC, Florida, Louisiana, Hawaii, Quebec, British Columbia, Cuba, among others). Makwa is looking to expand and find more French speaking US residents to be tour leaders. We are looking for people who might enjoy this opportunity to work with French students, in a francophone environment, while traveling to interesting destinations across the USA. 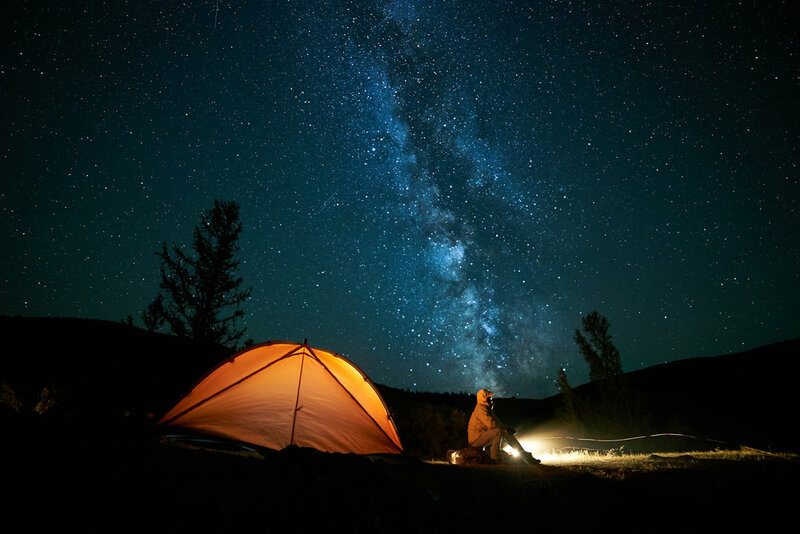 The job is paid, all transportations, meals, accommodations, and national parks fee entrances are included, and is mostly during the months of July and August. Tour leaders drive a 15 passenger van around national parks and cities. 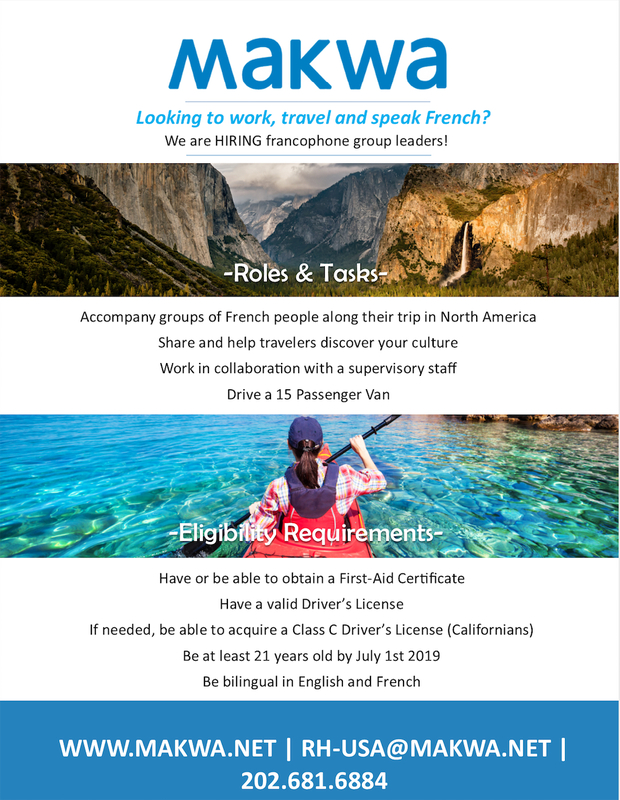 Makwa is looking for people who are eager to engage with the group of French students, share their culture, travel, camp and speak French of course! Many positions are available and they will be filled on a rolling basis, please apply soon to be considered for your priority destinations. Once hired you will get a $100 bonus for the first person you refer once they complete two trips, and after that $50 for any other referral that gets hired.